Irene Cara leads an all-star cast telling what happened after the Prince! In Stores June 5, 2007. A half-hour history of one of America's most influential animation studios, with producers, writers, animators, historians, and other Filmation personnel. 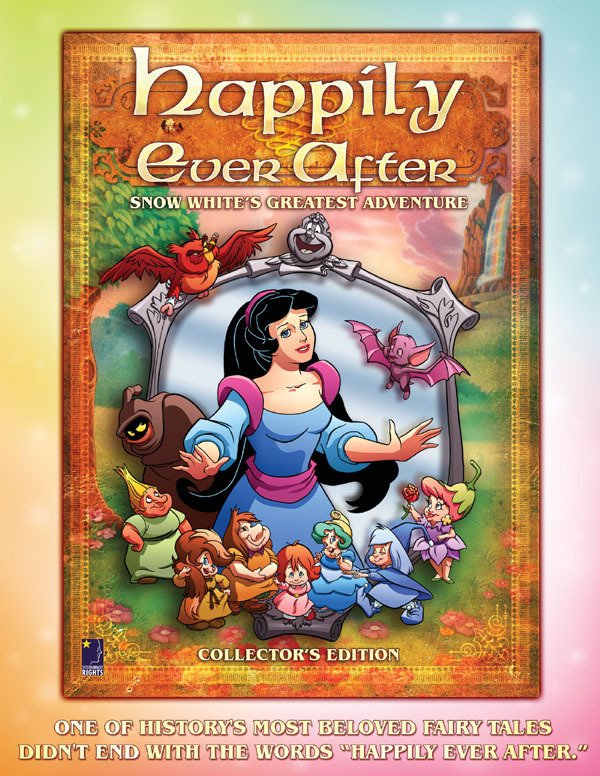 One of history's most beloved fairy tales didn't end with the words "Happily Ever After." The magical adventures of Snow White and her Prince continue, but this time there are new friends  and foes  to join them. This truly will be Snow White's Greatest Adventure! Snow White's wedding is approaching, but Lord Maliss, the brother of the evil Queen, plans to stop it. 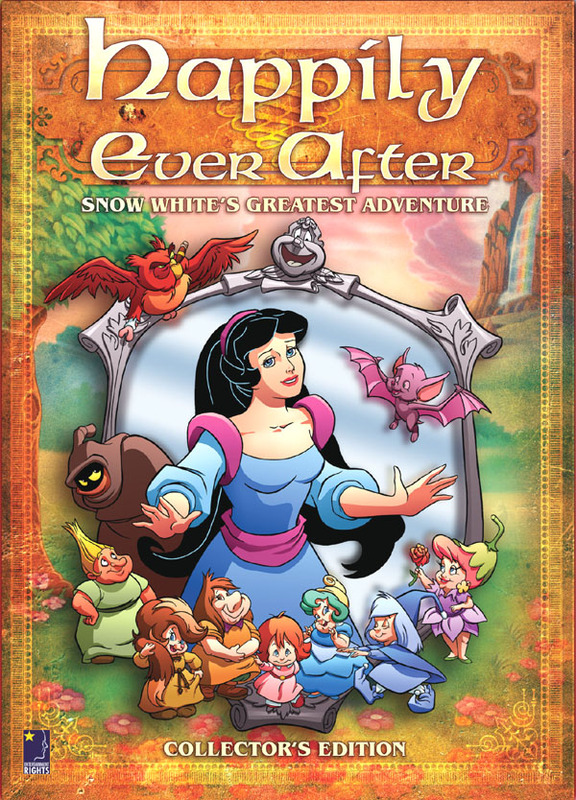 Now, Snow White must team up with the rambunctious Seven Dwarfelles, the magical cousins to the original Dwarves. Setting off on their new quest, can they find Mother Nature and save Snow White's true love from Maliss? Lushly animated by the American artists at Filmation Studios, HAPPILY EVER AFTER featured an all-star voice cast including singing superstar Irene Cara, Edward Asner, Carol Channing, Dom DeLuise, Malcolm McDowell, Tracey Ullman, Phyllis Diller, Zsa Zsa Gabor, Jonathan Harris, Sally Kellerman, Linda Gary, Michael Horton, and Frank Welker. 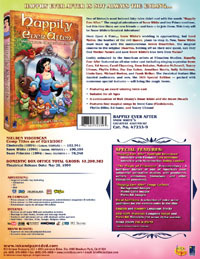 The theatrical feature film dazzled audiences, and now, the DVD Special Edition  packed with numerous special features  will bring the magic home. * Featuring an award winning voice cast: Irene Cara, Edward Asner, Carol Channing, Dom DeLuise, Malcolm McDowell, Tracey Ullman, Phyllis Diller, Zsa Zsa Gabor, Jonathan Harris, Sally Kellerman, Linda Gary, Michael Horton, and Frank Welker. * Features four magical songs by Irene (Flashdance) Cara, Phyllis Diller, Ed Asner, and Tracey Ullman! And scroll down this page for Press Releases and more fun! In Stores February 27, 2007.